Adam Clarke still owns a tidy selection of bikes, including a Dunstall Suzuki GT750 and a lovely Yamaha RD400. 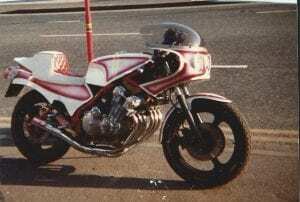 Adam is still fond of the mighty Honda CBX1000 and here’s why, this was his one he owned several decades ago. Adam points out it took ages going up this road: no doubt his slow speed was so this great snap could be shot. 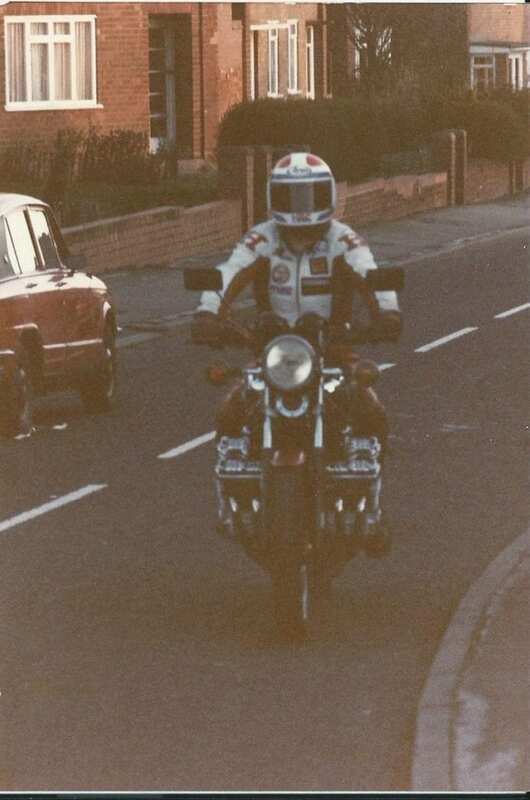 Adam’s friends also enjoyed the joy of six and this turbo Moto Martin in the photograph belonged to one of his pals. I’m guessing it couldn’t be coaxed along slow enough for a motion photograph?